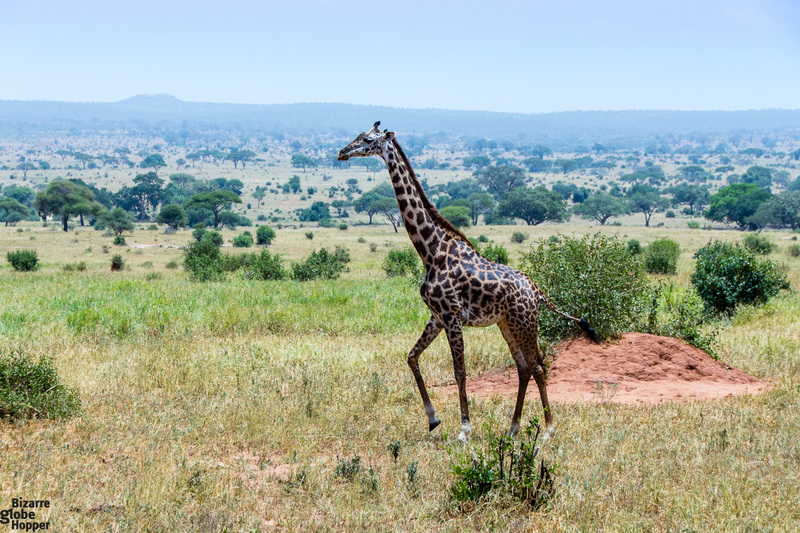 Whether you’ve been on a safari or not, you’ve probably heard the term “Game Drive.” When it comes to safari itineraries, it’s used to describe the drives with the 4WD vehicles you do in the National Parks, and there really is a reason for the name. In Serengeti, Lake Manyara, Ngorongoro Conservation Area or any other big or small National Park in Tanzania – or almost anywhere else in Africa – you can have Game Drives in the parks. 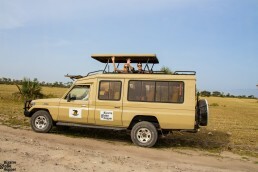 It’s when you hop on the 4WD jeep and drive around the vast plains or dense forests in search of different animals. But have you ever thought why specifically it is called a “Game Drive”? 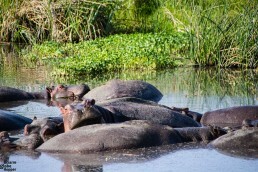 We had our first dip to an African safari in March with the Ombeni African Safaris. 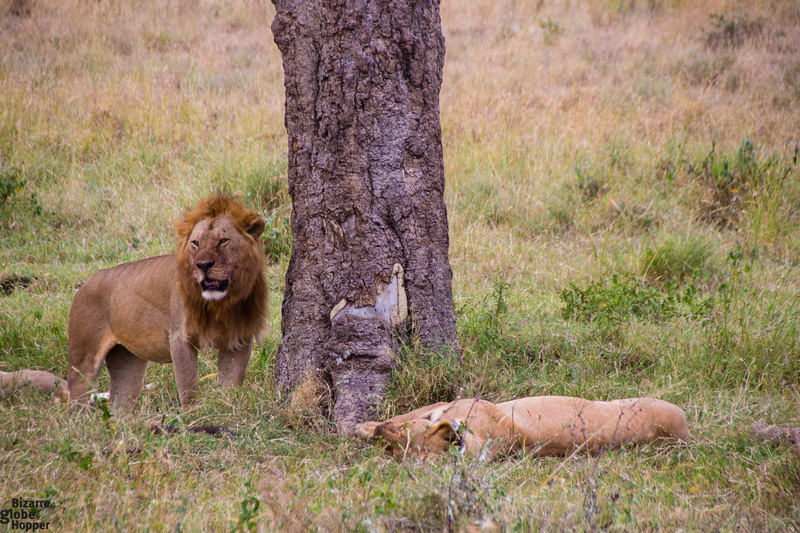 We embarked on a 10-day adventure through the most iconic National Parks of Tanzania on the famous Northern Circuit. We didn’t really have such a definite clue as what to expect, having previously seen these places only in the nature documents. 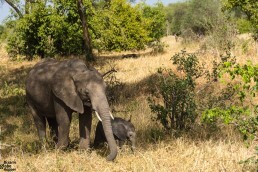 It actually felt unreal to the point until we hopped onto our own, dedicated 4WD jeep, entered the first National Park of our itinerary, Tarangire, and saw our first elephant herd some few hundreds of meters away. It was a reality check – we really were there. And we were spellbound by the magic of Africa from that moment on. After spending some time photographing and admiring those majestic elephants who kickstarted our epic safari, we drove quite awhile before getting a glimpse of some zebras and hyenas. Our guide, Ami, a slim Tanzanian man in his mid-thirties and a professional wildlife guide, told us about the schedule of the day, while driving on the dusty roads full of holes and bumps on both sides. He told what we have a chance to see that day, not what we are going to see. This particular sentence perfectly summed up the spirit of the Game Drive. Since the majority of the National Parks are huge – for example the Serengeti is 14750 km2 wide – the animals have enormous areas to roam. Practically this means it may be tough to find them. Sometimes you can drive the whole day around the Park, zigzagging on the narrow dirt roads and only see a handful of animals. Then again, on some occasions, you can see so many different species during the same day that you’ll lose count of what you’ve seen. Now you may think that it all comes down to luck, but it doesn’t. 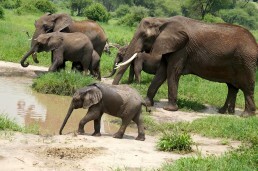 Your guide will have a big part in how successful your Game Drives will be. 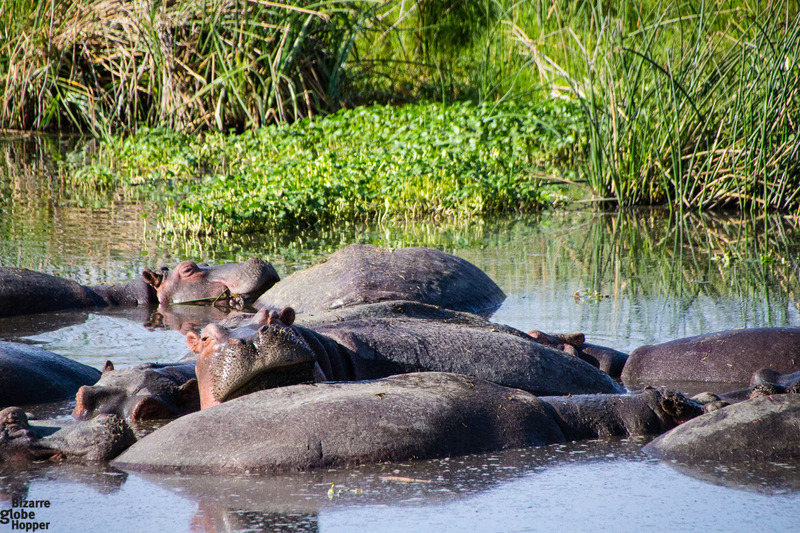 His (or her) experience about where most of the animals are spending their time is invaluable, as is the communication with other driver guides via the car’s short wave radio. If there’s a herd of lions having a dinner after a kill somewhere nearby, the driver guides will let others know via the radio and tell which direction to drive hurriedly to catch a glimpse of the scene. 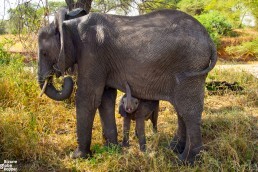 This communication is how as many car loads of people as possible can have the experience of seeing these unique animals in their natural habitat. It is also why it can sometimes get pretty crowded on the scenes when more than 10 jeeps are gathering in the same spot. Every morning of your safari you’ll rise with the sun and head out to drive around the parks. Mornings are the best times to spot the animals, before the hottest hours of the day when most of them are just lying in the bushes, away from the scorching sun. Every day it’ll be a new game – a game where you will try to track down as many animals as you can. And every day will be different since you will never know what exactly you’re going to see. It’s a game where your guide will try to guess where the animals would be on that particular day and towards what area they could be heading. Because every day is unique, you won’t feel bored at any point. There will always be more photo opportunities presenting themselves during the day than you are able to shoot. And if you in some point start to feel like you’ve already seen the sceneries so many times that it starts to get too familiar – Africa will always have an ace up its sleeve and will throw something entirely different before you, just ”out of the bushes.” Time after time, you’ll be mesmerized again. Every traveler who comes to Africa will dream about spotting the famous “Big 5” – the lion, elephant, buffalo, leopard, and rhino. Though the truth will be that the majority of the people won’t see them all. Usually at least the rhino is left unseen, just because many of the rhino species are very endangered, and they’re the hardest to spot overall. If you want to see rhinos, you got to have quite a bit of luck as well. The rhinos are the hardest catch also because of their living habitats are so restricted. 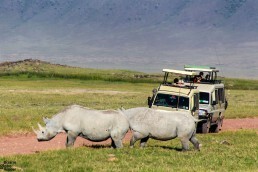 In Tanzania, the black rhinos can only be spotted inside the Ngorongoro Conservation Area. And there are only 32 individuals living inside the Ngorongoro, according to the last year’s count. It’ll give you some perspective on how hard it is to see them. But even if you won’t see the rhinos, don’t think that your safari isn’t complete. You’ll only have one good reason more to come back! 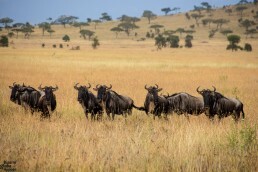 Most likely you will see many lions, elephants and buffalos out of the Big 5. Every scene and every sighting are unique. Especially if you come around February-March, like we did, you will also have the privilege to see many newborns with their parents. 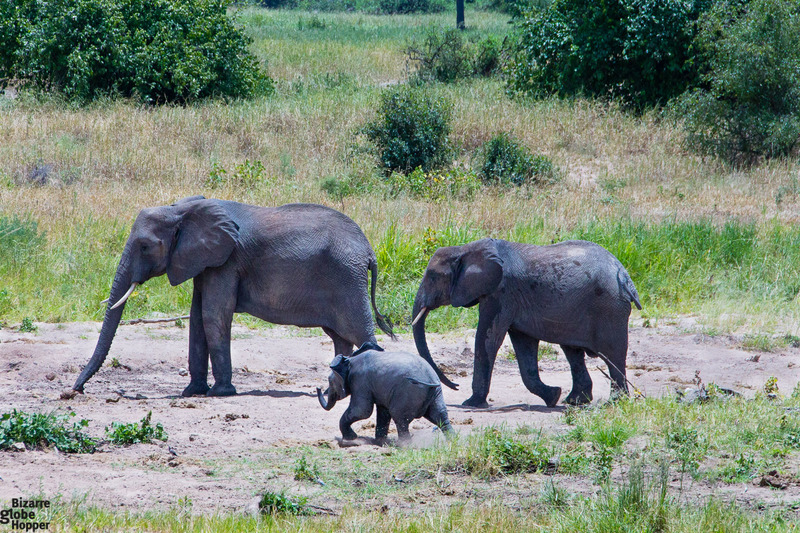 All those tiny elephants roaming around with their mothers, playing in the water and in the bushes, were a sight I’ll always remember! Two endangered black rhinos are walking by a jeep at a very close distance. A highly unusual occasion! The most common sight on your safaris will be the wildebeests and zebras roaming the vast plains in herds of different sizes and combinations. 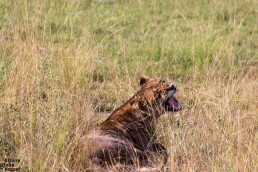 But before you can prepare your camera, you may see a leopard lying in the middle of the tall grass, trying to hide away, or a bunch of lions hanging around in the shades of a tree. And when the dusty road turns around the corner, there can be a rhino waiting for you. 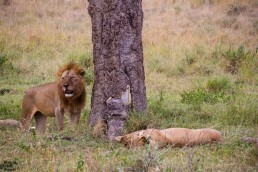 Safaris are full of surprises and don’t forget that it still is a game – sometimes you win and sometimes you may lose. Though you won’t ever actually ”lose” in Africa, you will have magical memories to bring back home from every Game Drive you take. 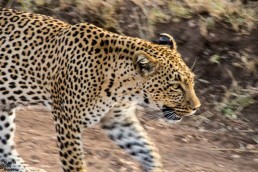 Surely if you have enough time, in addition to being lucky, you can indeed see all of the famous bunch of Big 5, too! And if you are very lucky, like we had the rare privilege to be, you can see the Big 5 even in a very restricted time frame. We had only the ten days and managed to see them all! 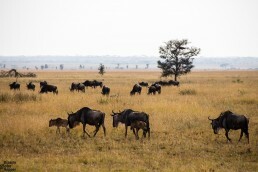 We saw even the black rhinos of Ngorongoro, though we had only one day’s chance. But sometimes one day is enough. Have you been on a safari? How was it? What animals did you see? 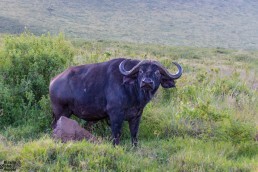 Have you seen the Big 5? We’d love to hear about your experiences! *Disclaimer: We were hosted by Ombeni African Safaris/Ombeni Foundation on a 10-day safari-circuit to spot the Big 5, but all the opinions and views presented here are entirely our own.